These days, having an MBA is a force to be reckoned with, and the value of possessing such a degree is immeasurable. Although they can be expensive and demanding to pursue, there are three solid reasons to set out on the road to studying for an MBA. Evidence shows that the average salary for an MBA graduate is substantially higher compared with an employee who has a regular masters degree. MBA graduates can also expect to earn nearly twice as much as those with a regular university degree. Looking at it this way, in two to three years, it is possible to cover the cost of your investment made in your MBA education. 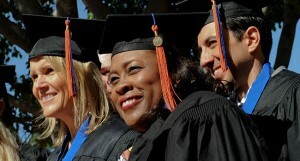 MBA graduates have a better chance of securing and holding a high-level management position. Worldwide estimates show that 70% of MBA graduates are board directors or senior managers. These types of roles bring higher salaries although they do, of course, bring a higher level of responsibility with longer working hours. For those looking to further their current careers in a leadership position or wanting to pursue a new career, an MBA will definitely boost your chances of achieving these goals. Studying for an MBA usually results in graduates becoming part of a great network of companies and professionals who constantly find themselves challenged with problem-solving. These aspects in combination give you a great overview of the business world and a thorough understanding and acute receptiveness to the subtle changes in this environment. This kind of overview and sensitivity is not easy to achieve unless a lot of time is spent on it, but it is a great asset, not just for graduates but for potential employers. If you feel you can handle the challenge of being in position of leadership, having a high level of responsibility and you enjoy being in a constant learning and development cycle, you are most probably an ideal MBA candidate. Unicaf’s online MBA program takes away the cost element often associated with studying for MBA degrees. Prospective students are invited to apply for a scholarship of up to 75%, allowing them the chance to fulfil their career ambitions.